Acute kidney injury after high dose etoposide phosphate: A retrospective study in children receiving an allogeneic hematopoetic stem cell transplantation. Barnoud D, Pinçon C, Bruno B, Béné J, Gautier S, Lahoche A, Petitpain N, Vasseur M, Barthélémy C, Décaudin B, Simon N, Odou P. Pediatr Blood Cancer. 2018 Jul;65(7):e27038. doi: 10.1002/pbc.27038. Adverse consequences of low-dose methotrexate medication errors: data from French poison control and pharmacovigilance centers. Vial T, Patat AM, Boels D, Castellan D, Villa A, Theophile H, Torrents R, Kassai B. Joint Bone Spine. 2018 Sep 19. pii: S1297-319X(18)30306-3. doi: 10.1016/j.jbspin.2018.09.006. Adverse reactions related to brentuximab vedotin use: A real-life retrospective study. Clarivet B, Vincent L, Vergely L, Bres V, Foglia K, Cartron G, Hillaire-Buys D, Faillie JL. Therapie. 2018 Jul 20. pii: S0040-5957(18)30124-0. doi:10.1016/j.therap.2018.07.004. Antidepressive agents and hyponatremia: A literature review and a case/non-case study in the French Pharmacovigilance database. Rochoy M, Zakhem-Stachera C, Béné J, Berkhout C, Gautier S; Réseau français des Centres Régionaux de Pharmacovigilance. Therapie. 2018;73:389-398. Antituberculosis Drug-Associated DRESS: A Case Series. Allouchery M, Logerot S, Cottin J, Pralong P, Villier C, Ben Said B, French Pharmacovigilance Centers Network and the French Investigators for skin adverse reactions to drugs. The Journal of Allergy and Clinical Immunology In practice. 2018;6(4):1373-80. Arthralgies et arthrites d’origine médicamenteuses, rares ou émergentes. Berthelot JM, Veyrac G. Revue du rhumatisme. 2018;85(4):314-320. Baclofen and Sleep Apnoea Syndrome: Analysis of VigiBase, the WHO Pharmacovigilance Database. Revol, Bruno, Ingrid Jullian-Desayes, Sébastien Bailly, Michel Mallaret, Renaud Tamisier, Marie-Sara Agier, Frédéric Lador, Marie Joyeux-Faure, and Jean-Louis Pépin. ‘. The European Respiratory Journal 51, no. 1 (2018). https://doi.org/10.1183/13993003.01855-2017. Berger’s disease associated to an adalimumab-treated rheumatoid arthritis. Pierrot, A., C. Combe, M. Lepelley, M. Brucker, and E. Constant. Annales Pharmaceutiques Francaises 76, no. 6 (November 2018): 499–503. https://doi.org/10.1016/j.pharma.2018.07.005. Beta-lactam-induced severeneutropaenia: a descriptive study.Vial T, Bailly H, Perault-Pochat MC, Default A, Boulay C, Chouchana L, Kassai B; French Network of Pharmacovigilance Centres. Fundam Clin Pharmacol. 2018 Oct 5. doi: 10.1111/fcp.12419. Bradykinin Mechanism Is the Main Responsible for Death by Isolated Asphyxiating Angioedema in France. Crochet, Julia, Marion Lepelley, Nassima Yahiaoui, Céline Vermorel, Jean-Luc Bosson, Pauline Pralong, Marie Thérèse Leccia, and Laurence Bouillet. Clinical and Experimental Allergy: Journal of the British Society for Allergy and Clinical Immunology 49, no. 2 (February 2019): 252–54. https://doi.org/10.1111/cea.13297. Cancer Risk in Patients with Multiple Sclerosis: Potential Impact of Disease-Modifying Drugs. Lebrun C, Rocher F. CNS Drugs. 2018;32(10):939-49. Cannabis and Anti-Cancer Drugs: Societal Usage and Expected Pharmacological Interactions – A Review. Bouquié R, Deslandes G, Mazaré H, Cogné M, Mahé J, Grégoire M, Jolliet P. Fundam Clin Pharmacol. 2018;32(5):462-484. Checkpoint inhibitor-associated immune arthritis. Arnaud L, Lebrun-Vignes B, Salem JE. Ann Rheum Dis. 2018 May 3. pii: annrheumdis-2018-213470. doi: 10.1136/annrheumdis-2018-213470. Cholangiocarcinoma occurring in a patient with type 1 Gaucher disease treated with velaglucerase alfa enzyme replacement therapy: First case report. Holubar J, Bres V, Costes-Martineau V, Pers YM. Blood Cells Mol Dis. 2018 Feb;68:112-114. doi: 10.1016/j.bcmd.2017.05.010. Chronic use of proton pump inhibitors, adverse events and potential biological mechanisms: A translational analysis.Kheloufi F, Frankel D, Kaspi E, Lepelley M, Mallaret M, Boucherie Q, Roll P, Micallef J. Therapie. 2018 May – Jun;73(3):273-281. Comment on: Failure of rivaroxaban to prevent thrombosis in four patients with anti-phospholipid syndrome. Scanvion Q, Morell-Dubois S, Yelnik CM, Bene J, Gautier S, Lambert M. Rheumatology (Oxford). 2018;57:938-939. Comparative Safety of Drugs Targeting the Nitric Oxide Pathway in Pulmonary Hypertension: A Mixed Approach Combining a Meta-Analysis of Clinical Trials and a Disproportionality Analysis From the World Health Organization Pharmacovigilance Database. Khouri, Charles, Marion Lepelley, Matthieu Roustit, François Montastruc, Marc Humbert, and Jean-Luc Cracowski. Chest 154, no. 1 (July 2018): 136–47. https://doi.org/10.1016/j.chest.2017.12.008. Convulsions associated with Neocodion® abuse (codeine camphosulfonate, sulfogaiacol, grindelia extract. Revol, Bruno, Hannah-Marie Doudoux, Nathalie Fouilhé Sam-Laï, and Michel Mallaret. Therapie 72, no. 6 (December 2017): 699–700. https://doi.org/10.1016/j.therap.2017.05.002. Cutaneous pigmentation related to intravenous iron extravasation: Analysis from the French pharmacovigilance database. Hermitte-Gandoliere A, Petitpain N, Lepelley M, Thomas L, Le Beller C, Astoul JP, Gillet P. Therapie. 2018 May – Jun;73(3):193-198. Cutaneous pigmentation related to intravenous iron extravasation: Analysis from the French pharmacovigilance database. Hermitte-Gandoliere A, Petitpain N, Lepelley M, Thomas L, Le Beller C, Astoul JP, Gillet P. Therapie. 2018 May – Jun;73(3):193-198. doi: 10.1016/j.therap.2017.10.005. Cyclosporine for Epidermal Necrolysis: Absence of Beneficial Effect in a Retrospective Cohort of 174 Patients-Exposed/Unexposed and Propensity Score-Matched Analyses. Poizeau F, Gaudin O, Le Cleach L, Duong TA, Hua C, Hotz C, Ingen-Housz-Oro S, Sbidian E, Zehou O, Colin A, de Prost N, Lebrun-Vignes B, Chosidow O, Wolkenstein P, Fardet L. J Invest Dermatol. 2018 Jun;138(6):1293-1300. De novo convulsive status epilepticus in patients with multiple sclerosis treated with dalfampridine. Panicucci E, Cohen M, Bourg V, Rocher F, Thomas P, Lebrun C. Mult Scler. 2018:1352458518790379. Delayed methotrexate elimination: Incidence, interaction with antacid drugs, and clinical consequences? Ranchon F, Vantard N, Henin E, Bachy E, Sarkozy C, Karlin L, Bouafia-Sauvy F, Gouraud A, Schwiertz V, Bourbon E, Baudouin A, Caffin AG, Vial T, Salles G, Rioufol C. Hematological oncology. 2018;36(2):399-406. Detection of drug safety signals from clinical trials data: Role of SUSARs. Perez C, Olivier P, Lortal B, Duranton S, Montastruc JL, Colin AL, Toulza E, Becker M, Hamy L, Crepin S, Roussillon C, Gimbert A, Petitpain N, Salvo F. Pharmacol Res. 2018 May;131:218-223. doi: 10.1016/j.phrs.2018.02.010. Dramatic Increase of Amoxicillin-Induced Crystal Nephropathy Found in a Cohort Study of French Pharmacovigilance Centers. Vodovar D, Thomas L, Mongardon N, Lepeule R, Lebrun-Vignes B, Biour M, Netzer F, Haouache H, Le Beller C, Dhonneur G. Antimicrob Agents Chemother. 2018 Feb 23;62(3). Drug and food interactions with contraceptives: CNGOF Contraception Guidelines. Bernier M, Jonville-Bera AP. Gynecol Obstet Fertil Senol. 2018;46(12):786-91. Drug-induced aseptic meningitis: a mini-review. Yelehe-Okouma M, Czmil-Garon J, Pape E, Petitpain N, Gillet P. Fundam Clin Pharmacol. 2018 Jun;32(3):252-260. doi: 10.1111/fcp.12349. Drug-induced aseptic meningitis: A possible T-cell-mediated hypersensitivity. Castagna J, Nosbaum A, Vial T, Rozieres A, Hacard F, Vocanson M, Pralong P, Chuniaud-Louche C, Nicolas JF, Gouraud A, Bérard F. The journal of allergy and clinical immunology In practice. 2018;6(4):1409-11. Drug-induced interstitial pneumonitis due to avelumab: A case report. Brie V, Faure M, Garon J, Petit I, Gomez E, Knoepfli A, Decavele M, Petitpain N, Chabot F, Chaouat A. Rev Mal Respir. 2018 Nov;35(9):978-982. doi: 10.1016/j.rmr.2018.07.005. Drug-induced linear immunoglobulin A bullous dermatosis: A French retrospective pharmacovigilance study of 69 cases. Garel B, Ingen-Housz-Oro S, Afriat D, Prost-Squarcioni C, Tétart F, Bensaid B, Bara Passot C, Beylot-Barry M, Descamps V, Duvert-Lehembre S, Grootenboer-Mignot S, Jeudy G, Soria A, Valnet-Rabier MB, Barbaud A, Caux F, Lebrun-Vignes B. Br J Clin Pharmacol. 2018 Dec 4. doi: 10.1111/bcp.13827. Drug-induced Stevens-Johnson syndrome and toxic epidermal necrolysis: Proportion and determinants of underreporting to pharmacovigilance. Chaby G, Lebrun-Vignes B, Haddad C, Hemery F, Ingen-Housz-Oro S, de Prost N, Wolkenstein P, Chosidow O, Fardet L. J Allergy Clin Immunol Pract. 2018 Oct 5. pii: S2213-2198(18)30605-6. doi: 10.1016/j.jaip.2018.09.028. Drugs of porcine origin-A risk for patients with α-gal syndrome? Swiontek K, Morisset M, Codreanu-Morel F, Fischer J, Mehlich J, Darsow U, Petitpain N, Biedermann T, Ollert M, Eberlein B, Hilger C. J Allergy Clin Immunol Pract. 2018 Dec 15. pii: S2213-2198(18)30825-0. doi: 10.1016/j.jaip.2018.12.005. Early clindamycin for bacterial vaginosis in pregnancy (PREMEVA): a multicentre, double-blind, randomised controlled trial. Subtil D, Brabant G, Tilloy E, Devos P, Canis F, Fruchart A, Bissinger MC, Dugimont JC, Nolf C, Hacot C, Gautier S, Chantrel J, Jousse M, Desseauve D, Plennevaux JL, Delaeter C, Deghilage S, Personne A, Joyez E, Guinard E, Kipnis E, Faure K, Grandbastien B, Ancel PY, Goffinet F, Dessein R. Lancet. 2018;392:2171-2179. Efficacy of metformin on glycemic control and weight in drug-naive type 2 diabetes mellitus patients: A systematic review and meta-analysis of placebo-controlled randomized trials. Piera-Mardemootoo C, Lambert P, Faillie JL. Therapie. 2018 Feb 21. pii: S0040-5957(18)30019-2. doi: 10.1016/j.therap.2018.01.006. Fatal cholestatic hepatitis after a single dose of celecoxib. Larrey E, Patouraux S, Spreux A, Canivet CM, Piche T, Tran A, et al. Clin Res Hepatol Gastroenterol. 2018. Fatal Toxic Effects Associated With Immune Checkpoint Inhibitors: A Systematic Review and Meta-analysis. Wang DY, Salem JE, Cohen JV, Chandra S, Menzer C, Ye F, Zhao S, Das S, Beckermann KE, Ha L, Rathmell WK, Ancell KK, Balko JM, Bowman C, Davis EJ, Chism DD, Horn L, Long GV, Carlino MS, Lebrun-Vignes B, Eroglu Z, Hassel JC, Menzies AM, Sosman JA, Sullivan RJ, Moslehi JJ, Johnson DB. JAMA Oncol. 2018 Dec 1;4(12):1721-1728. Gastric acid rebound after a proton pump inhibitor: Narrative review of literature. Rochoy M, Dubois S, Glantenet R, Gautier S, Lambert M. Therapie. 2018;73:237-246. High-Dose Mitotane-Induced Encephalopathy in the Treatment of Adrenocortical Carcinoma. Pape E, Feliu C, Yéléhé-Okouma M, Colling N, Djerada Z, Gambier N, Weryha G, Scala-Bertola J. Oncologist. 2018 Mar;23(3):389-390. doi: 10.1634/theoncologist. Hospital-Acquired Hyperkalemia Events in Older Patients Are Mostly Due to Avoidable, Multifactorial, Adverse Drug Reactions. Robert L, Ficheur G, Décaudin B, Gellens J, Luyckx M, Perichon R, Gautier S, Puisieux F, Chazard E, Beuscart JB. Clin Pharmacol Ther. 2019;105:754-760. How to improve vaccine acceptability (evaluation, pharmacovigilance, communication, public health, mandatory vaccination, fears and beliefs).Dutilleul A, Morel J, Shilte C, Launay O; participants of Giens XXXIV Round Table “hot topic No. 1”. Therapie. 2018 Dec 20. pii: S0040-5957(18)30261-0. doi: 10.1016/j.therap.2018.12.005. How to strengthen the presence of patients in health technology assessments conducted by the health authorities. Mamzer MF, Dubois S, Saout C; participants of Round Table «Topical Subject» of Giens XXXIII, Albin N, Béhier JM, Buisson A, Diebolt V, Delaitre O, Duguet C, Fagon JY, Gaillard S, Le Jeunne C, Mazars R, Micallef J, Nabarette H, Piazza L, Raynaud C, Varoqueaux N. Therapie. 2018 Feb;73(1):95-105. doi: 10.1016/j.therap.2017.11.004. Hypertension induced by serotonin reuptake inhibitors: analysis of two pharmacovigilance databases.Humbert X, Fedrizzi S, Chrétien B, Sassier M, Bagheri H, Combret S, Drici MD, Le Bas F, Puddu PE, Alexandre J.Fundam Clin Pharmacol. 2018 Nov 29. Hypogonadism as a Reversible Cause of Torsades de Pointes in Men. Salem JE, Waintraub X, Courtillot C, Shaffer CM, Gandjbakhch E, Maupain C, Moslehi JJ, Badilini F, Haroche J, Gougis P, Fressart V, Glazer AM, Hidden-Lucet F, Touraine P, Lebrun-Vignes B, Roden DM, Bachelot A, Funck-Brentano C. Circulation. 2018 Jul 3;138(1):110-113. Illogical association nalmefene and opioids: Analysis in the French pharmacovigilance database. Favrelière S, Lafay-Chebassier C, Fauconneau B, Quillet A, Yéléhé-Okouma M, Montastruc F, Pérault-Pochat MC. Therapie. 2018 Aug 3. pii: S0040-5957(18)30128-8. doi: 10.1016/j.therap.2018.06.004. Immediate Hypersensitivity to Contrast Agents: The French 5-year CIRTACI Study. Olivier Clement, Pascale Dewachter, Claudie Mouton-Faivre, Camille Nevoret, Laurence Guilloux, Evelyne Bloch Morot et al. EClinicalMedicine 1 (2018) 51–61. Immediate-type hypersensitivity cross-reactions to proton pump inhibitors: A descriptive study of data from the French national pharmacovigilance database. Tourillon C, Mahé J, Baron A, Lambert A, Yélehé-Okouma M, Veyrac G, Jolliet P. Int Arch Allergy Immunol. 2018;178(2):159-166.doi: 10.1159/000493581. Immune Checkpoint Inhibitor-Associated Myositis. Anquetil C, Salem JE, Lebrun-Vignes B, Johnson DB, Mammen AL, Stenzel W, Léonard-Louis S, Benveniste O, Moslehi JJ, Allenbach Y. Circulation. 2018 Aug 14;138(7):743-745. Impact of an awareness of the doctors treating on the decrease of the prescriptions of antipsychotics in the demented residents in Ehpad. Philippe AS, Braunstein D, Clot-Faybesse P, Teissier S, Roch B, Micallef J, Bonin-Guillaume S. Geriatr Psychol Neuropsychiatr Vieil. 2018 Dec 1;16(4):383-390. Impact of the “French Levothyrox Crisis” on Signal Detection in the World Health Organization Pharmacovigilance Database. Khouri, Charles, Bruno Revol, Marion Lepelley, Michel Mallaret, and Jean-Luc Cracowski. ‘. Pharmacoepidemiology and Drug Safety 27, no. 12 (December 2018): 1427–28. https://doi.org/10.1002/pds.4682. Increased long QT and torsade de pointes reporting on tamoxifen compared with aromatase inhibitors. Grouthier V, Lebrun-Vignes B, Glazer AM, Touraine P, Funck-Brentano C, Pariente A, Courtillot C, Bachelot A, Roden DM, Moslehi JJ, Salem JE. Heart. 2018 Nov;104(22):1859-1863. Increased reporting of fatal immune checkpoint inhibitor-associated myocarditis. Moslehi JJ, Salem JE, Sosman JA, Lebrun-Vignes B, Johnson DB Lancet. 2018 Mar 10;391(10124):933. Increased Reporting of Immune Checkpoint Inhibitor-Associated Diabetes. Wright JJ, Salem JE, Johnson DB, Lebrun-Vignes B, Stamatouli A, Thomas JW, Herold KC, Moslehi J, Powers AC. Diabetes Care. 2018 Dec;41(12):e150-e151. Incretin based drugs and risk of cholangiocarcinoma among patients with type 2 diabetes: population based cohort study. Abrahami D, Douros A, Yin H, Yu OH, Faillie JL, Montastruc F, Platt RW, Bouganim N, Azoulay L. BMJ. 2018 Dec 5;363:k4880. doi: 10.1136/bmj.k4880. Interaction between CYP2D6 inhibitor antidepressants and codeine: is this relevant? Cazet L, Bulteau S, Evin A, Spiers A, Caillet P, Kuhn E, Pivette J, Chaslerie A, Jolliet P, Victorri-Vigneau C. Expert Opin Drug Metab Toxicol.2018;14(8):879-886. Interest and challenges of pharmacoepidemiology for the study of drugs used in diabetes. Salvo F, Faillie JL. Therapie. 2018 Oct 28. pii:S0040-5957(18)30243-9. doi: 10.1016/j.therap.2018.09.074. Intracranial hemorrhage and oral anticoagulants of patients treated between 2011 and 2013 at the Nancy Regional University Hospital. Leblanc A, Petitpain N, Pereira O, Adssi HE, Latarche C, Gillet P, Colnat-Coulbois S. Neurochirurgie. 2017 Sep;63(4):302-307. doi: 10.1016/j.neuchi.2017.02.002. Intravenous single administration of amiodarone and breastfeeding. Javot L, Pape E, Yéléhé-Okouma M, Barotte E, Divoux E, Gillet P, Gambier N, Scala-Bertola J. Fundam Clin Pharmacol. 2018 Nov 24. doi: 10.1111/fcp.12439. Is acetaminophen associated with a risk of Stevens-Johnson syndrome and toxic epidermal necrolysis? 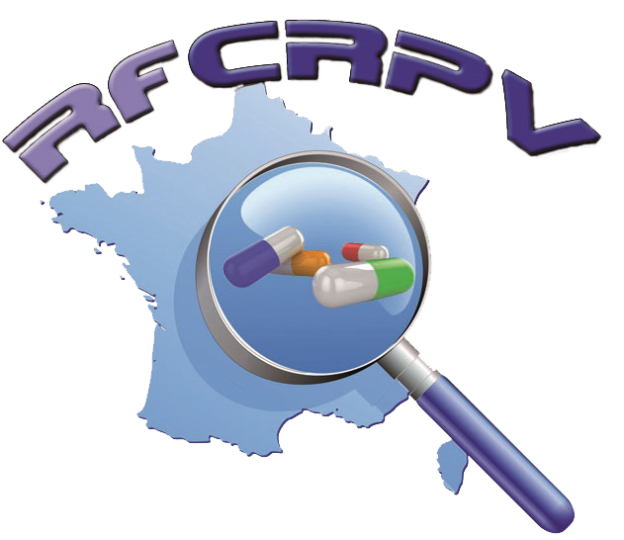 Analysis of the French Pharmacovigilance Database. Lebrun-Vignes B, Guy C, Jean-Pastor MJ, Gras-Champel V, Zenut M; French Network of Regional Centres of Pharmacovigilance and the French Investigators for Adverse Skin Reactions to Drugs. Br J Clin Pharmacol. 2018 Feb;84(2):331-338. Ketamine and chronic pain: A narrative review of its efficacy and its adverse events].Pickering G, Morel V, Micallef J. Therapie. 2018 Dec;73(6):529-539. Management of medication errors in general medical practice: Study in a pluriprofessionnal health care center. Pourrain L, Serin M, Dautriche A, Jacquetin F, Jarny C, Ballenecker I, Bahous M, Sgro C. Therapie. 2018 Dec;73(6):461-471. Medication errors with tramadol drops in children. Moulis F, Durrieu G, Masmoudi K, Gervoise Boyer M, Rocher F, Montastruc F, et al. Eur J Clin Pharmacol. 2018;74(2):247-8. Neuromuscular blocking agents induced anaphylaxis: Results and trends of a French pharmacovigilance survey from 2000 to 2012. Petitpain N, Argoullon L, Masmoudi K, Fedrizzi S, Cottin J, Latarche C, Mertes P, Gillet P, French Network of Regional Pharmacovigilance Centres. Allergy. 2018;73(11):2224-33. doi: 10.1111/all.13456. Nicorandil and cutaneous ulcerations, their misdiagnosis and consequences: Illustration by five cases reports and a review of the French pharmacovigilance database. Béné J, Carpentier O, Sabanowski S, Laroche ML, Beyens MN, Lambert M, Gautier S; French Pharmacovigilance Network. Therapie. 2018;73:409-417. Nicorandil-induced ulcerations: a 10-year observational study of all cases spontaneously reported to the French pharmacovigilance network. Babic V, Petitpain N, Guy C, Trechot P, Bursztejn AC, Faillie JL, Vial T, Schmutz JL, Gillet P. Int Wound J. 2018 Aug;15(4):508-518. doi: 10.1111/iwj.12845. Nivolumab in routine practice for older patients with advanced or metastatic non-small cell lung cancer. Sabatier R, Nicolas E, Paciencia M, Jonville-Béra AP, Madroszyk A, Cecile M, Braticevic C, Duran S, Tassy L, Rouby F, Micallef J, Rousseau F. J Geriatr Oncol. 2018 Sep;9(5):494-500. Nodular Regenerative Hyperplasia Induced by Trastuzumab Emtansine: Role of Emtansine? Lepelley, Marion, Marion Allouchery, Jérôme Long, Dorothée Boucherle, Yves Ranchoup, François Le Marc’Hadour, Céline Villier, and Nathalie Sturm. ‘’ Annals of Hepatology 17, no. 6 (16 October 2018): 1067–71. https://doi.org/10.5604/01.3001.0012.7207. Nonhemorrhagic joint disorders and vitamin K antagonists: an under-recognized adverse drug reaction? Bene J, Rousselin C, Bagheri H, Vial T, Gautier S, Lambert M. Fundam Clin Pharmacol. 2018;32(6):663-8. Occurrence of type 1 and type 2 diabetes in patients treated with immunotherapy (anti-PD-1 and/or anti-CTLA-4) for metastatic melanoma: a retrospective study.Gauci ML, Boudou P, Baroudjian B, Vidal-Trecan T, Da Meda L, Madelaine-Chambrin I, Basset-Seguin N, Bagot M, Pages C, Mourah S, Resche-Rigon M, Pinel S, Sassier M, Rouby F, Eftekhari P, Lebbé C, Gautier JF. Cancer Immunol Immunother. 2018 Aug;67(8):1197-1208. On-the-ground application of the ‘temporary recommendation for use’ regulatory measure on off-label use of baclofen for alcohol dependence in France: a regional survey of community pharmacies. Auffret M, Rolland B, Caous AS, Gaboriau L, Deheul S, Bordet R, Gautier S. Fundam Clin Pharmacol. 2018;32:234-238. Paradoxical pustular psoriasis induced by ustekinumab in a patient with Crohn’s disease-associated spondyloarthropathy. Benzaquen M, Flachaire B, Rouby F, Berbis P, Guis S. Rheumatol Int. 2018 Jul;38(7):1297-1299. Patterns of antidepressant use during pregnancy: a nationwide population-based cohort study. Bénard-Laribière A, Pambrun E, Sutter-Dallay AL, Gautier S, Hurault-Delarue C, Damase-Michel C, Lacroix I, Bégaud B, Pariente A. Br J Clin Pharmacol. 2018;84:1764-1775. Perampanel-associated self-harm ideation after dosage increase.Kheloufi F, Default A, Perrouty B, Blin O, Micallef J. Eur J Clin Pharmacol. 2018 Feb;74(2):243-244. doi: 10.1007/s00228-017-2348-6. Pharmacokinetic risk factors of beta-blockers overdose in the elderly: Case report and pharmacology approach. Lafarge L, Bourguignon L, Bernard N, Vial T, Dehan-Moya MJ, De La Gastine B, Goutelle S Ann Cardiol Angeiol (Paris). 2018;67(2):91-7. Pleural adverse drugs reactions and protein kinase inhibitors: identification of suspicious targets by disproportionality analysis from Vigibase®. Mahé J, Patras de Campaigno E, Chené AL, Montastruc JL, Despas F, Jolliet P. Br J Clin Pharmacol. 2018 ;84(10) :2373-2383. Pregnancy outcome following in utero exposure to azathioprine: A French comparative observational study. Alami Z, Agier MS, Ahid S, Vial T, Dautriche A, Lagarce L, Toutain A, Cherrah Y, Jonville-Bera AP. Therapie. 2018 May – Jun;73(3):199-207. Pregnancy outcomes in women exposed to cancer chemotherapy. Danet C, Araujo M, Bos-Thompson MA, Portolan G, Gautier S, Vanlemmens L, Bonenfant S, Jonville-Béra AP, Cottin J , Vial T, Bavoux F, Montastruc JL, Damase-Michel C, Benevent J, Bourgeois-Mondon I, Lacroix I. Pharmacoepidemiology and drug safety. 2018;27(12):1302-8. Pregnancy outcomes in women on metformin for diabetes or other indications among those seeking teratology information services. Panchaud A, Rousson V, Vial T, Bernard N, Baud D, Amar E, De Santis M, Pistelli A, Dautriche A, Beau-Salinas F, Cassina M, Dunstan H, Passier A, Kaplan YC Duman MK, Maňáková E, Eleftheriou G, Klinger G, Winterfeld U, Rothuizen LE, Buclin T, Csajka C, Hernandez-Diaz S. Br J Clin Pharmacol. 2018;84(3):568-78. Prevalence of hydroxychloroquine-induced side-effects in dermatology patients: A retrospective survey of 102 patients. Tétu P, Hamelin A, Lebrun-Vignes B, Soria A, Barbaud A, Francès C, Chasset F. Ann Dermatol Venereol. 2018 Jun – Jul;145(6-7):395-404. Pristinamycin-induced arthralgia and myalgia: Analysis of the French Pharmacovigilance Database. Denis Prevot M, Thillard EM, Walther J, Veyrac G, Laroche ML, Gautier S, Auffret M. Med Mal Infect. 2018;48:58-62. Proton Pump Inhibitors and Raynaud’s Phenomenon: Is There a Link? Khouri, Charles, Bruno Revol, Jean-Luc Cracowski, and Matthieu Roustit. ‘British Journal of Clinical Pharmacology 84, no. 10 (October 2018): 2443–44. https://doi.org/10.1111/bcp.13697. Proton pump inhibitors prescriptions in France: Main trends from 2006 to 2016 on French health insurance database. Boucherie Q, Rouby F, Frankel D, Roll P, Micallef J. Therapie. 2018 Oct;73(5):385-388. doi: 10.1016/j.therap.2018.03.001. Pulmonary arterial hypertension in patient treated for multiple sclerosis with 4-aminopyridine. Ribeiro Baptista B, Petitpain N, Gomez E, Yelehé-Okouma M, Valentin S, Guillaumot A, Chabot F, Chaouat A. Fundam Clin Pharmacol. 2019 Feb;33(1):127-129. doi: 10.1111/fcp.12396. Rapidly growing squamous cell carcinoma after ingenol mebutate treatment. Ehret M, Velter C, Tebacher M, Bruant-Rodier C, Cribier B. Ann Dermatol Venereol. 2018 Oct;145(10):607-612. doi: 10.1016/j.annder.2018.04.007. Reporting of immune checkpoint inhibitor-associated myocarditis – Authors’ reply. Moslehi JJ, Salem JE, Sosman JA, Lebrun-Vignes B, Johnson DB. Lancet. 2018 Aug 4;392(10145):384-385. Reversible drug-induced antiphospholipid syndrome. Risse J, Vieira M, Beuret F, Petitpain N, Zuily S, Wahl D. Lupus. 2018 Feb;27(2):333-335. doi: 10.1177/0961203317712463. Risperidone and Intracranial Hypertension: A Case Report and Literature Review. Riquin E, Egreteau L, Salmon L, Le Verger L, Lagarce L. Ann Pharmacother. 2018 Dec;52(12):1261-2. Safety of intravitreal injection of ranibizumab in early pregnancy: a series of three cases. Fossum P, Couret C, Briend B, Weber M, Lagarce L. Eye (Lond). 2018 Apr;32(4):830-2. Serious adverse drug reactions with sacubitril/valsartan Entresto®: a French pharmacovigilance survey. Moulis F, Rousseau V, Chebane L, Gouverneur A, Gaboriau L, Faillie JL, Durrieu G, Montastruc F, Montastruc JL. Eur J Clin Pharmacol. 2018;74:983-984. Severe Acute Hepatitis after Thymoglobulin Induction before Islet Transplantation’Perrier, Quentin, Rachel Tetaz, Magalie Baudrant, Marion Lepelley, Thierry Berney, Pierre-Yves Benhamou, Sandrine Lablanche, and STABILOT study group. Therapie 73, no. 6 (December 2018): 545–46. https://doi.org/10.1016/j.therap.2018.04.004. Severe Central Sleep Apnoea Associated with Nalmefene: A Case Report. Khouri, Charles, François Arbib, Bruno Revol, Jean-Louis Pepin, and Renaud Tamisier. British Journal of Clinical Pharmacology 84, no. 5 (May 2018): 1075–76. https://doi.org/10.1111/bcp.13547. Severe cutaneous adverse reactions due to inappropriate medication use. Chaby G, Valeyrie-Allanore L, Duong TA, Lebrun-Vignes B, Milpied B, Sassolas B, Tetart F, Wolkenstein P, Chosidow O, Fardet L. Br J Dermatol. 2018 Aug;179(2):329-336. Severe headaches and 3rd or 6th nerve palsy associated with nicorandil: A hypothesis. Trechot P, Conart JB, Petitpain N, Trechot F. Am J Emerg Med. 2018 Aug;36(8):1500-1501. doi: 10.1016/j.ajem.2017.12.001. Severe ipilimumab-induced ulcerative colitis remitting after infliximab therapy and secondary switching with pembrolizumab. Yelehe-Okouma M, Granel-Brocard F, Hudziak H, Schmutz JL, Gillet P. Therapie. 2018 May – Jun;73(3):291-293. doi: 10.1016/j.therap.2017.10.004. SGLT-2 inhibitors and ketoacidosis: a disproportionality analysis in the World Health Organization’s adverse drug reactions database. Fundam Clin Pharmacol. Ado Moumouni AN, Robin P, Hillaire-Buys D, Faillie JL. 2018 Apr;32(2):216-226. doi: 10.1111/fcp.12334. Spontaneous adverse event notifications by patients subsequent to the marketing of a new formulation of Levothyrox((R)) amidst a drug media crisis: atypical profile as compared with other drugs. Viard D, Parassol-Girard N, Romani S, Van Obberghen E, Rocher F, Berriri S, et al. Fundam Clin Pharmacol. 2018. Suggestive association between OPRM1 and impulse control disorders in Parkinson’s disease. Cormier-Dequaire F, Bekadar S, Anheim M, Lebbah S, Pelissolo A, Krack P, Lacomblez L, Lhommée E, Castrioto A, Azulay JP, Defebvre L, Kreisler A, Durif F, Marques-Raquel A, Brefel-Courbon C, Grabli D, Roze E, Llorca PM, Ory-Magne F,Benatru I, Ansquer S, Maltête D, Tir M, Krystkowiak P, Tranchant C, Lagha-Boukbiza O, Lebrun-Vignes B, Mangone G, Vidailhet M, Charbonnier-Beaupel F, Rascol O, Lesage S, Brice A, Tezenas du Montcel S, Corvol JC; BADGE-PD study group. Mov Disord. 2018 Dec;33(12):1878-1886. Theoretical and practical assessment of Lille general practice and pharmacy students’ knowledge about use of inhaler devices for asthma control. Veylon P, Rochoy M, Gautier S, Wallaert B, Berkhout C. Rev Pneumol Clin. 2018;74:67-75. Thrombotic microangiopathy associated with gemcitabine use: Presentation and outcome in a national French retrospective cohort. Daviet F, Rouby F, Poullin P, Moussi-Francès J, Sallée M, Burtey S, Mancini J, Duffaud F, Sabatier R, Pourroy B, Grandvuillemin A, Grange S, Frémeaux-Bacchi V, Coppo P, Micallef J, Jourde-Chiche N. Br J Clin Pharmacol. 2018 Dec 18. PubMed PMID: 30394581; PubMed Central PMCID: PMC6339967. Thyroiditis and immune check point inhibitors: the post-marketing experience using the French National Pharmacovigilance database. Garon-Czmil J, Petitpain N, Rouby F, Sassier M, Babai S, Yelehe-Okouma M, Weryha G, Klein M, Gillet P. Fundam Clin Pharmacol. 2019 Apr;33(2):241-249. doi: 10.1111/fcp.12423. Ticagrelor and Central Sleep Apnea. Revol, Bruno, Ingrid Jullian-Desayes, Renaud Tamisier, Vincent Puel, Michel Mallaret, Marie Joyeux-Faure, and Jean-Louis Pépin. Journal of the American College of Cardiology 71, no. 20 (22 May 2018): 2378–79. https://doi.org/10.1016/j.jacc.2018.03.447. Urinary retention associated with aripiprazole: Report of a new case and review of the literature. Boyer MG, Kheloufi F, Denis J, Micallef J, Milh M. Therapie. 2018 May – Jun;73(3):287-289. Valaciclovir: a culprit drug for drug reaction with eosinophilia and systemic symptoms not to be neglected. Three cases. Ingen-Housz-Oro S, Bernier C, Gener G, Fichel F, Barbaud A, Lebrun-Vignes B, Assier H. Br J Dermatol. 2018 Sep 17. doi: 10.1111/bjd.17207. Which Opioids in Case of Mast Cell Activation Disorders? Lepelley, Marion, Charles Khouri, Pauline Pralong, Julien Rossignol, Céline Greco, Laurence Bouillet, and Isabelle Boccon Gibod. ‘The Journal of Allergy and Clinical Immunology. In Practice, 29 August 2018. https://doi.org/10.1016/j.jaip.2018.08.011.